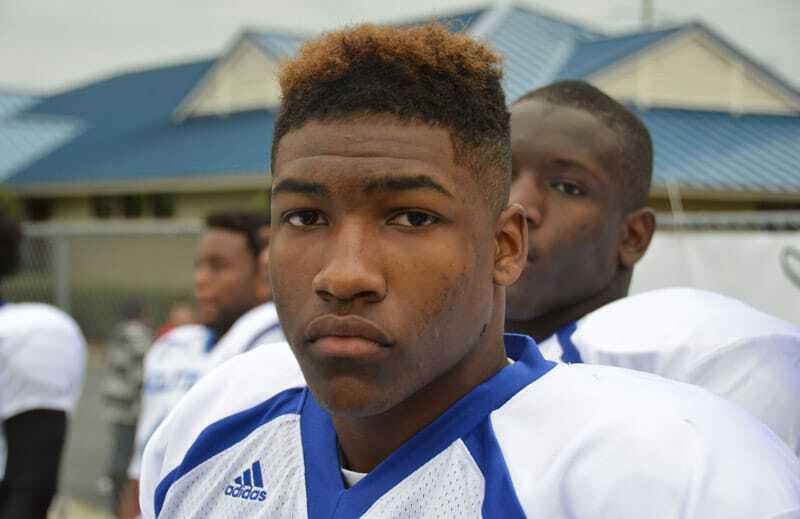 Five-star safety Rashad Roundtree has committed to the Georgia Bulldogs for the class of 2015! Roundtree made his announcement this morning at his high school. Roundtree (6-1, 195) attends Lakeside High School in Evans, Georgia. He committed to the Bulldogs over offers from most of the top schools, including Alabama, Auburn, Duke, Michigan State, Notre Dame, Ohio State, Clemson, Florida, Florida State, Georgia Tech, and Michigan. Rivals.com rates Rashad Roundtree as a 5-star recruit, the No. 2 Safety, and the No. 24 overall recruit in their Rivals100 2015. In the 247Sports Composite rankings, Abram is listed as a 4-star recruit, the No. 6 safety in the country and the No. 94 overall recruit. The Bulldogs now have four defensive backs committed for the 2015 class. 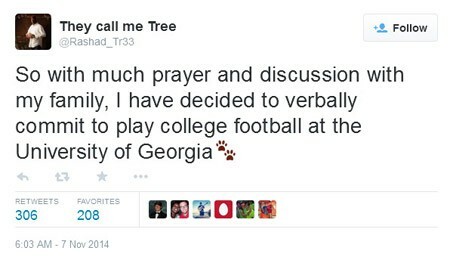 Roundtree joins Johnathan Abram, Deandre Baker and Deontai Williams.